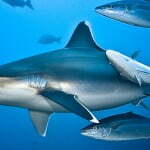 Shark numbers were ten times more than seen on non-feed dives. Overall populations appear to be increasing slightly. 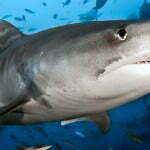 Many of the baited feeding dives in Fiji involve large numbers of Bull Sharks which are known to have seasonal breeding patterns, reflected in lower shark numbers every November and higher numbers every April. Ray and Turtle sightings on the feed sites are infrequent, and numbers generally low. By far the most common sharks seen on feeding dives were Bull Sharks, followed by White-tip, Black-tip and Grey Reef Sharks. Silvertip, Tawny Nurse and Indo-Pacific Lemon Sharks occasionally visit the feeds, and very occasionally a Tiger or a Leopard Shark. 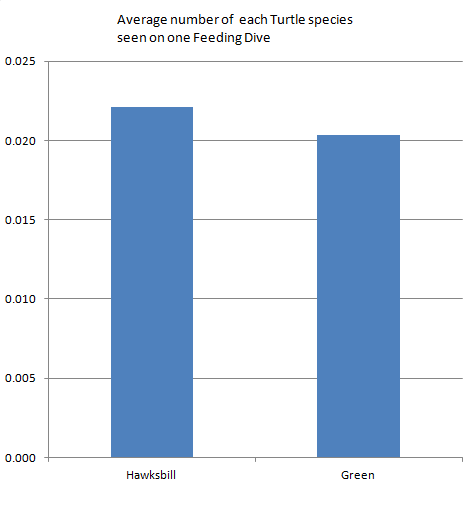 Scalloped and Great Hammerheads and Guitarfish have never been recorded at a shark feed. Bull Sharks show a very obvious pattern of higher numbers in April and lower numbers in November, reflecting the breeding season when female Bulls are known to leave the feeding grounds to give birth in river estuaries. Bulla shark populations appear to be increasing at both times of year, while other species are remaining stable or in slight decline. A slight but similar seasonal pattern is seen in White-tip Reef and Tawny Nurse Shark numbers, which was not seen in the data from non-feeding dives. 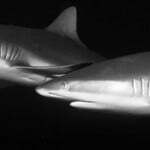 There appears to have been a slight decline in numbers of Black-Tip Reef Sharks, particularly in 2014. There are no other patterns apparent. Rays and Turtles were seen very uncommonly on Feeding Dives, and numbers are only around a tenth of those seen on Non-Feeds. 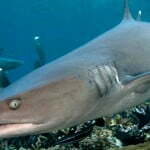 This may be due to the presence of large numbers of Sharks on Feeding Dives, or to the habitat types of the reefs selected for use as Feeds. 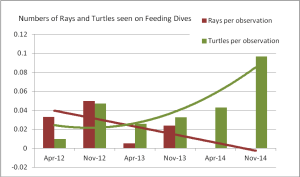 There is an overall suggestion that Ray numbers have declined and Turtle numbers increased over the past three years, but the sightings are so infrequent that these patterns are not reliable.